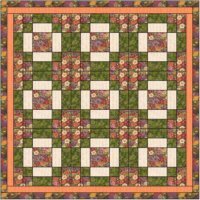 The free quilt patterns you find listed here I created using the Electric Quilt 7 software. I highly recommend this software! 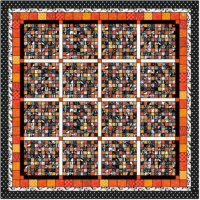 I love to browse quilt exhibitions, quilt sites, quilt books, quilt shops and quilts made by my friends for inspiration to make my next quilt. Often I will find inspiration from a range of quilts and turn that into my own work of art. So my main purpose in providing these designs for you, is to inspire you to make quilts that you love. 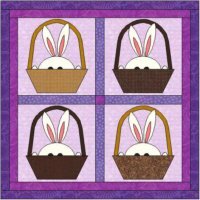 With all my quilt designs I have included the templates for each of the different blocks within the quilt. I have included seam allowances in my patterns so for those who like to do their applique by machine you will need to remove the seam allowances first when tracing the patterns. I also have not included instructions for sewing and finishing the quilts. You will find tips on appliqué etc within my site. 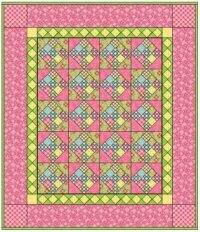 If you want to enlarge or reduce the patterns to make a different size then go to Free Block Patterns and scroll to the bottom of the page for a table that does the math for you. 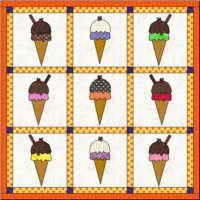 You're welcome to make quilts from these patterns or use any part of the quilt pattern for your own quilts but I don't want my patterns sold or given away. I would rather you directed people to my site. 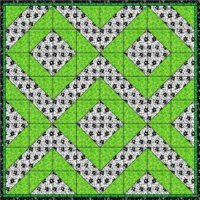 To download these patterns you will need to have Adobe Reader on your computer. It is a free software program and can be downloaded here. As time passes and my EQ7 skills increase I will add new patterns to this part of my site. At the moment I am doing a Pinterest challenge that I have set myself to create a new pattern every week. I did this to encourage my use and growth using EQ7. You will find these pinterest challenge patterns here.